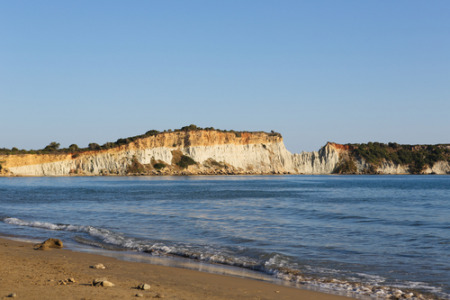 Vassilikos holidays transport you to the southern coast of Zante, six miles from the island's principle town. It is an area of great scenic beauty that boasts some of the best beaches on the island. Holidays to Vassilikos can be taken from April until October with temperatures rising to a pleasant thirty at the height of the season. With wonderful sandy beaches and crystal clear waters providing safe conditions for non-swimmers, it comes as no surprise that our cheap Vassilikos holidays are snapped up by families. These offer great value for money as our commitment to quality and service is never in doubt. Holidays in Vassilikos also appeal to couples and those who enjoy rambling through stunning countryside. Our low cost Vassilikos holidays can be as relaxed or as energetic as you wish as there is a variety of recreational activities including many water sports. There are scenic walking trails into the hills and along coastal paths. With good accommodation offering every comfort, and restaurants catering for all tastes, our Vassilikos holiday offers are sure to please. There are plenty of shops but if greater choice is needed, there are regular buses to Zante Town. Evenings are relaxed affairs with the larger hotels providing entertainment. For further information and to view our best Vassilikos holiday deals, please use the search facility.